many people, including TRIBE, are opting for plant-based protein over animal-based sources. 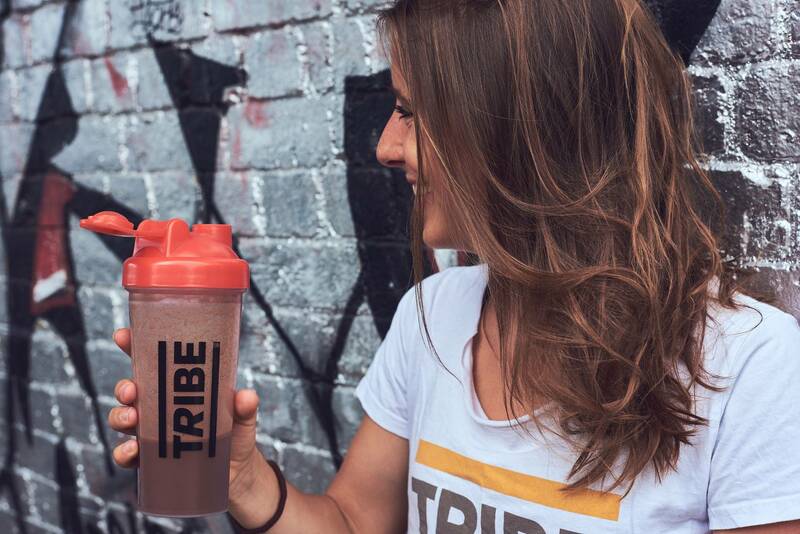 TRIBE Nutritional Scientist Dr Tamsyn Forsyth tells us more about the benefits of plant-based protein. There has been an increasing appreciation of the benefits of protein in supporting many aspects related to our general health and well-being, not least in the context of exercise. However, the growing interest in protein doesn’t stop there, it also extends to the specific sources from which we gain our daily protein. Whether making a breakfast smoothie or reaching for a post-workout protein hit, many people are opting for plant-based protein over animal-based sources. The reasons for this may vary from one person to the next, but represent our increasing understanding that plant-based sources not only offer benefits to our overall health, but are also the more sustainable choice. 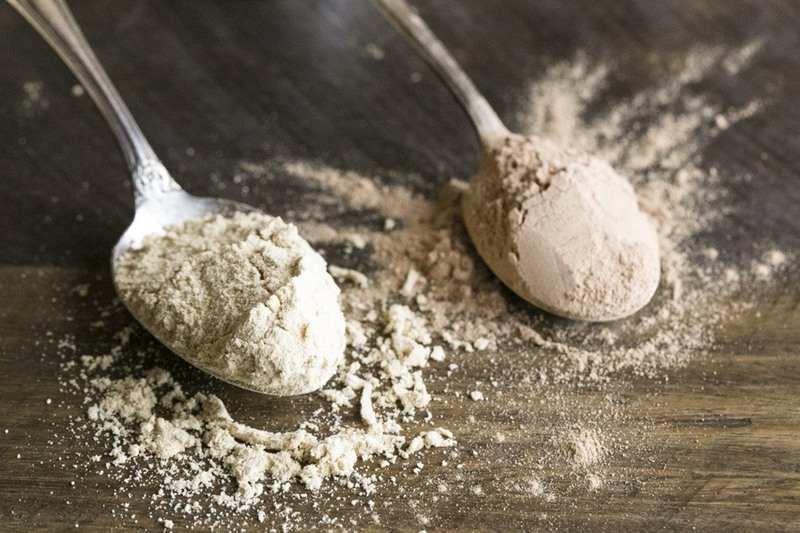 Although once thought to be less nutritious and a so-called ‘incomplete’ source of essential amino acids, we now know that plant-based protein is a healthy option that can meet our daily protein needs. A discussion on how this can be achieved, as well as some of the key reasons in favour of including plant-based protein in your everyday diet, follows. …you just need to eat a variety of sources! Let’s start by addressing what may still be a common belief – that you can’t source all of your protein needs from plant-based sources, and that animal-based sources are better as they have a high biological value or are ‘complete’. To help explain this, we need to understand a bit more about proteins. Amino acids are the building blocks of proteins, and these amino acids link together via peptide bonds to form long chains known as polypeptides. Functional proteins are formed from one or more polypeptide chains, which precisely fold up to form a specific, complex shape that is unique to each type of protein and critical to its function. There are 20 amino acids in total, of which the body can synthesise 11. These are known as non-essential amino acids. The remaining nine, known as essential amino acids, need to be supplied through our diets. Our bodies require all nine of these essential amino acids in the right amounts for optimal health. It is correct that individual animal protein sources, such as meat, eggs, and dairy, contain all of the essential amino acids in adequate quantities and in a highly digestible format, meeting the body’s requirements. For those amongst us who supplement our diets with protein shakes, you will have heard of whey protein. Whey provides all of the essential amino acids and is commonly used as the protein source in many sports nutrition supplements. However, making up approximately 20% of the total protein content in bovine (cow) milk, whey is not an option for those of us who are vegan or are generally seeking non-animal protein sources in our diet. You may also experience intolerance-related symptoms from whey, such as bloating, gas and mucus production. Now to plant-based proteins. 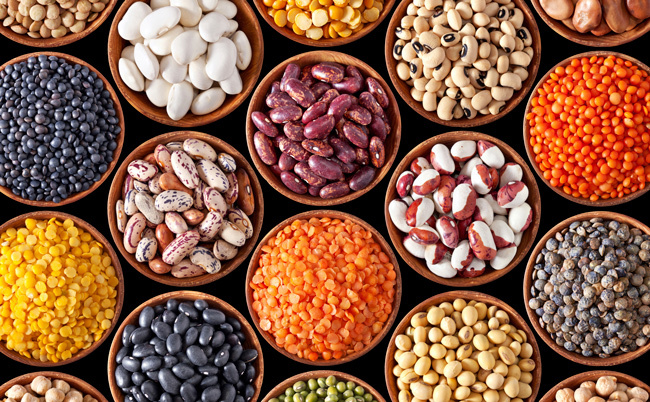 It’s also true that, generally speaking, sources of plant-based protein such as oat, pea, rice, hemp, quinoa, black beans and lentils, are lower in essential amino acids than animal-based proteins. Does this mean that if we prefer (or need) to eat plant-based sources of protein that we will be deficient in essential amino acids? No, it doesn’t. By eating a variety of plant-based protein sources (and who doesn’t enjoy a bit of variety) we can meet our daily requirements for all nine of the essential amino acids. the proportion of these amino acids that is effectively digested and absorbed in the body to become available in a form suitable for body protein synthesis (known as protein digestibility). Note that several methods exist to determine protein quality, and you may see any one of these measures used: Chemical Score, Protein Efficiency Ratio, Biological Value, Protein Digestibility-Corrected Amino Acid Score (PDCAAS) and most recently, the Indicator Amino Acid Oxidation (IAAO) technique. As different plant-based sources of protein are lower in different essential amino acids (their amino acid profile varies), we can achieve a diet that supplies all of the essential amino acids by eating a variety of plant-based protein sources. It’s important to highlight here that it is recommended we achieve our daily protein intake by consuming protein at regular intervals throughout the day. [2,3] Therefore, we don’t need to eat so-called complete sources (or a combination of sources that, when combined together in the same meal, provide a complete source of protein) at every meal, but eating the right variety of plant-based sources throughout the day allows us to meet the daily requirements of essential amino acids. When it comes to their digestibility, purified plant-based protein sources such as pea protein concentrate have a similar digestibility to animal-based protein sources (>90%). Whether you exercise a few times a week or are in heavier training, it’s important that you’re taking on enough of all nine of the essential amino acids as these are crucial for the maintenance, repair and growth of our skeletal muscle.2 One of the essential amino acids in particular, leucine, is very important in helping maintain and build skeletal muscle in the natural process known as muscle turnover. We know that the period of time immediately after exercise is often considered the most critical part of nutrient timing. [3,5] Protein intake during this time can help to offset muscle damage and promote recovery by re-building any damaged muscle fibres through stimulation of muscle protein synthesis. [6,7] However, achieving sufficient protein via whole foods during this time can often be difficult or inconvenient. 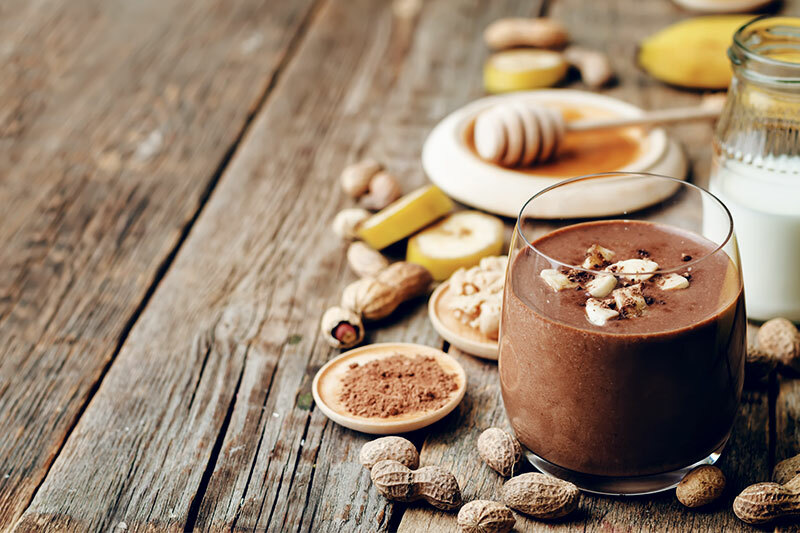 Many plant-based protein supplements contain a combination of protein sources that allow us to take on all of the essential amino acids in this critical window, including adequate amounts of leucine, to help optimise our recovery. Both plant- and animal-based whole food protein sources can contribute substantially to the daily intake of a number of other nutrients, depending on the specific source. Animal-based protein can supply more zinc, vitamin B12, phosphorous and iron, but plant-based protein can deliver more of other nutrients, including dietary fibre, vitamin E, and magnesium. Holistically speaking, compared with omnivorous diets a plant-based diet tends to be higher in fibre, fruits, vegetables, carbohydrates, antioxidants and phytochemicals (biologically active compounds found in plants). Consuming micronutrient- and phytochemical-rich foods is an important benefit of any plant-based diet, and it is thought that this may help alleviate the effects of excess inflammation and promote recovery from training. The preservation and development of our skeletal muscle mass is essential for maintaining health. Due to its volume, skeletal muscle forms the primary site for nutrient disposal and energy consumption in our bodies and, therefore, plays an essential role in regulating bodyweight. This also means skeletal muscle mass is important in protecting against the development of metabolic conditions such as obesity, hyperlipidaemia (elevated lipid levels in the blood), cardiovascular disease, and type 2 diabetes. Dietary guidance is continually updated to reflect our growing understanding of how different nutrients and foods affect our health. Both the amount of protein we eat and our sources of dietary protein have been shown to be important factors in influencing metabolic risk factors. These risk factors include high blood pressure, high blood glucose, and low high-density lipoprotein (HDL, known as ‘good’ cholesterol), all of which can increase the chances of developing health problems such as heart disease, stroke, and diabetes. Adding protein to a carbohydrate-based meal may reduce the glycaemic response (the effect that food has on blood sugar levels after we have eaten it) that follows. High-protein diets have also been shown to be effective in preventing some metabolic risk factors, for example by increasing HDL cholesterol levels. But does the type of protein source matter? It is well known that some animal-based sources of protein, such as red meat, eggs and full-fat dairy products, contain high levels of saturated fats and cholesterol, which can lead to conditions such as heart disease and high cholesterol. In contrast, a recent systematic review  found evidence that the intake of plant-based proteins may prevent the onset of risk factors associated with cardiovascular disease, such as high cholesterol and high blood pressure. Many of us are increasingly concerned with the ideas of sustainability and food security (having reliable access to a sufficient quantity of affordable, nutritious food), not least when it comes to our food choices. Some of us are already opting for a higher proportion of plant-based vs. animal-based protein sources for this very reason. So, how exactly do our protein choices impact sustainability? Let’s first consider animal-based sources of protein, for which the global demand is increasing and is predicted to double by 2050. [11,12] To keep up with this growing demand there has been a shift towards industrialised animal farming systems. This shift has created significant demand for grain and other plant proteins as feed for animals (for example, dairy cows produce milk, from which whey protein powder is sourced), and is contributing to a number of production challenges, including waste, pollution, deforestation, greenhouse gas emissions and soil degradation. It’s generally accepted that the production of animal-based foods produces higher levels of greenhouse gases than plant-based foods, and these are associated with climate change. In addition, the increased demand for animal-based protein is expected to intensify pressure on land due to the need to grow more animal feed. Of the total plant protein produced currently, less than half is used for human consumption. The increased need for animal feed will likely mean that forests, wetlands and natural grasslands will be converted into agricultural land. This also has negative consequences for greenhouse gas emissions, biodiversity and other important ecosystem services. When it comes to fish and seafood, this is a critical source of protein for billions of people but the ocean’s supply has reached its limit due to overfishing, and likewise farmed fish is also nearing its limit. Now to discuss plant-based sources of protein. The production of plant-based foods is believed to require less water, land, and energy than animal-based foods. This may ultimately result in less environmental burden and lower the financial cost of food production. The ‘Protein Challenge 2040’ is a global coalition that aims to shift the production and consumption of protein onto a more sustainable path, and the number one area that they have identified for immediate action to help achieve this aim is to increase the proportion of plant-based protein consumption. To summarise, although once thought to be less nutritious and an incomplete source of essential amino acids, we can now think of plant-based protein sources as a healthy way of meeting our daily protein needs. In addition, considering the wider longer-term benefits associated with overall health and sustainability, plant-based protein sources could be deemed necessary in our everyday diets. Jäger R, Kerksick CM, Campbell BI, et al. International Society of Sports Nutrition Position Stand: protein and exercise. J Int Soc Sports Nutr 2017;14:20. Hoffman JR, Falvo MJ. Protein – Which is Best? J Sports Sci Med 2004;3(3):118–130. Kerksick CM, Arent S, Schoenfeld BJ, et al. International society of sports nutrition position stand: nutrient timing. J Int Soc Sports Nutr 2017;14:33.
van Vliet S, Burd NA, van Loon L. The Skeletal Muscle Anabolic Response to Plant- versus Animal-Based Protein Consumption. J Nutr 2015;145(9):1981–1991. Aragon AA, Schoenfeld BJ. Nutrient timing revisited: is there a post-exercise anabolic window? 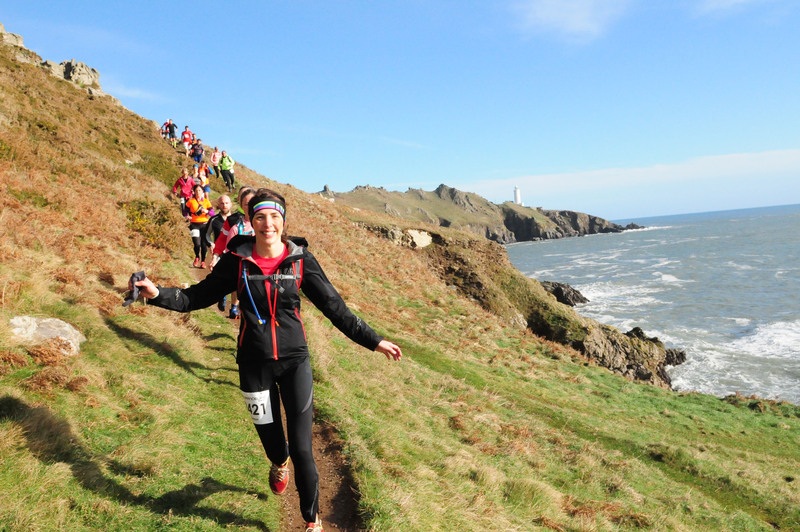 J Int Soc Sports Nutr 2013;29;10(1):5. Joy JM, Lowery RP, Wilson JM, Purpura M, De Souza EO, Wilson SM, et al. The effects of 8 weeks of whey or rice protein supplementation on body composition and exercise performance. Nutr J 2013;12(1):86. Rogerson D. Vegan diets: practical advice for athletes and exercisers. J Int Soc Sports Nutr 2017;14:36. Phillips SM, Fulgoni VL, Heaney RP, et al. Commonly consumed protein foods contribute to nutrient intake, diet quality, and nutrient adequacy. Am J Clin Nutr 2015; pii: ajcn084079. [Epub ahead of print]. Dideriksen K, Reitelseder S, Holm L. Influence of Amino Acids, Dietary Protein, and Physical Activity on Muscle Mass Development in Humans. Nutrients 2013;5(3):852–876. Chalvon-Demersay T, Azzout-Marniche D, Arfsten J, et al. A Systematic Review of the Effects of Plant Compared with Animal Protein Sources on Features of Metabolic Syndrome. J Nutr 2017;147(3):281–292. Henchion M, Hayes M, Mullen AM, et al. Future Protein Supply and Demand: Strategies and Factors Influencing a Sustainable Equilibrium. The Future of Protein. The Protein Challenge 2040: Shaping the future of food. Available at: https://www.forumforthefuture.org/sites/default/files/The_Protein_Challenge_2040_Summary_Report.pdf. Last accessed September 2017.